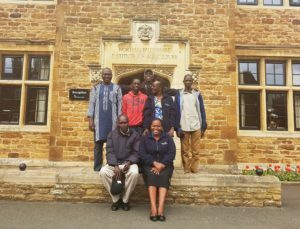 Marshal Papworth Fund, a UK based agriculture-education charity, has welcomed its 184th student as part of this year’s intake of seven students from developing countries, extending the opportunity for communities to grow themselves out of hunger. The 10-week Short Course will run for the second time at Moulton College, one of the UK’s leading agricultural colleges, teaching the students a number of sustainable farming skills and practices including crop management, business management, animal and plant husbandry, training skills and basic IT. Classroom studies will run alongside field visits and cultural trips to Ely, London and agricultural country shows to enhance their learning and whole experience. In order to continue these opportunities for students from the developing countries and benefit more communities, the charity relies on donations from individuals and businesses. To find out more and to make a donation contact Sandra Lauridsen on 01733 363514 or email slauridsen@eastofengland.org.uk for more information.